The Malapa fossil assemblage was likely accumulated as a result of a death trap. 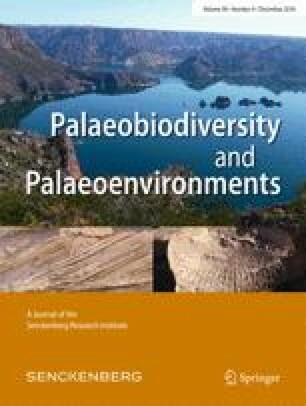 Given this, the carnivoran species found there must have lived in proximity, close proximity for the smaller species, to the site, offering the possibility of expanding our interpretation of the habitats available to Australopithecus sediba via pinpoint palaeoenvironmental interpretation. To date, the identified carnivorans are the most abundant identified non-hominin taxa at Malapa, and given their territorial behaviour, are important when interpreting the palaeoecology of the site. The extinct false saber-tooth felid (Dinofelis barlowi) suggests that the presence of closed environments and the ancestral form of modern water mongoose (Atilax mesotes) indicates the presence of water in the vicinity. Canids generally support the presence of open habitats. The first appearance in the fossil record of Vulpes skinneri and Felis nigripes indicates the presence of drier open grassland/scrub. The Malapa carnivorans support widespread shifts in carnivore turnover circa 2.0 Ma in Africa and suggest, together with other lines of evidence, the occurrence of a regional transitioning environment during the time of Au. sediba. We thank the South African Heritage Resource agency for the permits to work on the Malapa site and the Nash family for granting access to the Malapa site and continued support of research on their reserve. Grateful appreciation goes to Sally Reynolds and Jean-Philippe Brugal for their reviews and comments, which improved the manuscript. Research by LW is funded by the Swedish Research Council. Additional support for MB was provided by PAST (Palaeontological Scientific Trust). AIRH is supported by Australian Research Council Future Fellowship FT120100399.